Torres del Paine trek, located deep in the South of Patagonia in South America, is considered to be one of the best treks in the world! I was always curious if that is true and I could not miss the chance to hike the famous park myself while I was touring the continent! 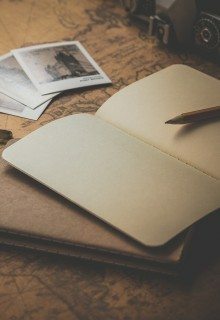 There are many blog posts and books out there that have the aim of helping you to prepare for this trek, but I found they missed some important information. Thus, in order to help you plan your trip and cover all the questions I had and the answers that I could not find on the internet before, I decided to write my own Torres del Paine trekking guide! These are the questions you need to ask yourself BEFORE going to Torres del Paine in order to have a great time there. I counted 5 of them, but you can also find an FAQ section at the end of the article with some more important things that you should keep in mind! 1. Should you go in the summer or in the winter? 2. O or W, or maybe the Q trek? 3. A tent or a hotel? 4. Cooking or full board? These pics were taken during the same trek, with a 3 days difference! The weather in Patagonia is so unpredictable, it can compete with Iceland! A hot sunny day can change to a cold one with strong wind gusts which will blow you away in the blink of an eye. Even though you cannot predict the weather, you can at least choose the season, so you should think this through before planning your trip. 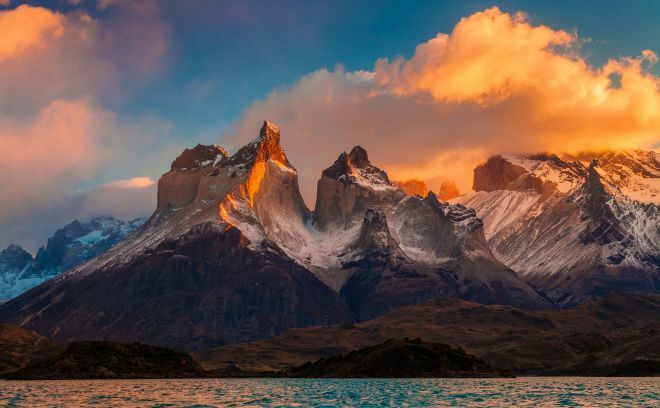 So, when to go to Torres del Paine? If you are an experienced hiker searching for a challenge, then you can go in the winter as well. But it sometimes got really windy in February (summer) when I went. And by really windy I mean that I could barely stand on my own two feet! So I can only wonder how windy is it during the Torres del Paine in the winter! If you ask me, the only advantage of going in the cold season (May to August) is that there are hardly any tourists. 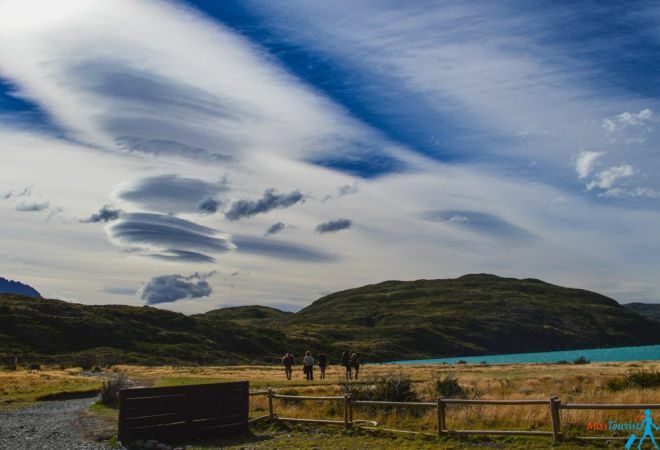 You can find more information about the weather in Torres del Paine here. Check the accommodation price for your dates here! No, I am not inventing some secret code – this is just how the trails are called and they are named for their letter-like shapes! Basically, there are 3 Patagonia hiking routes in Torres del Paine: “W” (4-5 days), ”O” (9 days) and “Q” (10 days). “W” trail is the most popular trek in the park and it was my chosen option too. This trek will allow you to see the most important things including the Torres, which are the symbol of the park. Duration – 4 to 5 days. 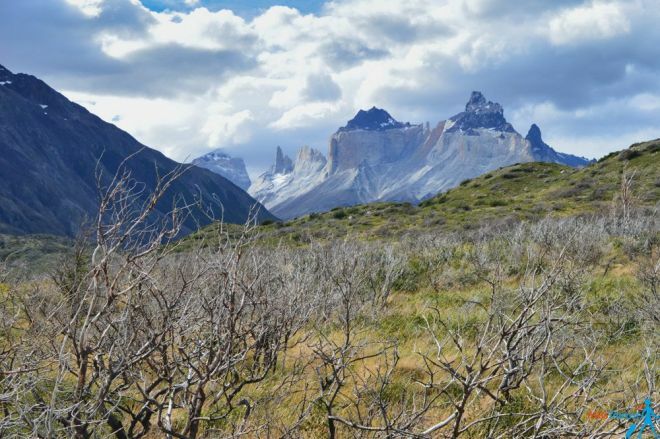 “O” (or the Torres del Paine Circuit trek) is a loop trail and it makes a circle around the entire park. I recommend taking this tour in Torres del Paine if you have more time on hand and if you want to deeper immerse with nature. The “O” trail gets a lot less crowded after it breaks away from the W hike. Duration – 9 days. Distance: more or less 110 km / 68 miles. If you are not feeling so adventurous, you can do an easy 1-day trek just to see the Torres and stay in a hotel close to it. Duration – 4-5 hours. So, in which direction should you go – East to West or West to East? It does not matter, really. It really depends on the weather – plus, you will still need to come back. I did my W trek from East to West and it was perfectly ok. I chose East to West because I knew that the first day is the hardest, so I didn’t want to postpone it until the last. But that was just my preference and you might want to do it differently, of course! UPDATE: The O trek can only be hiked counterclockwise now. 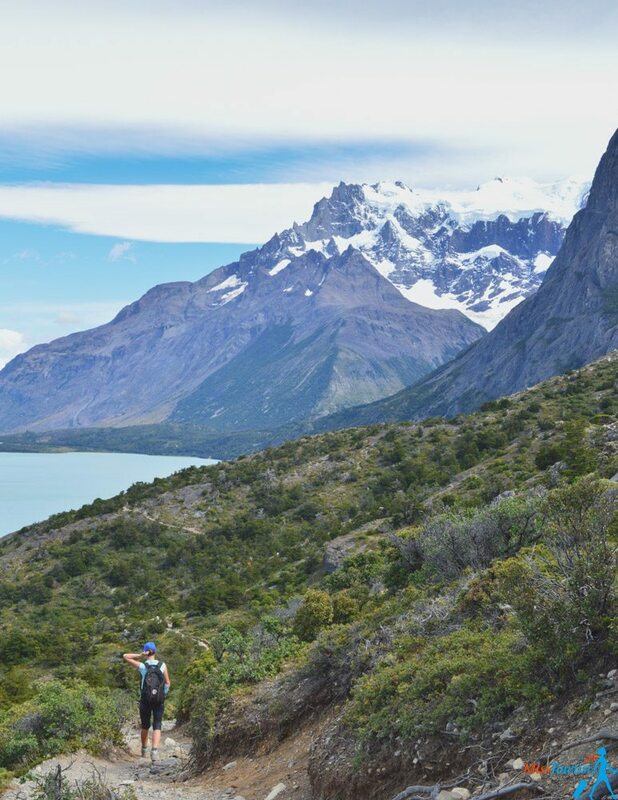 Hiking the W trail in Torres del Paine can still be done in any direction you prefer. UPDATE 2: The “O” trek is closed between 1st of April and 30th of September for 2019 season. 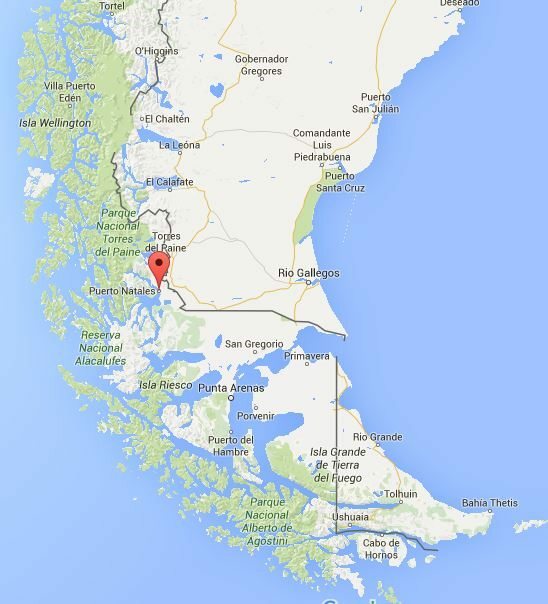 I guess you are wondering where to stay in Torres del Paine during those 4-10 days, right? Will you go for a budget option by staying in a tent or will you prefer the comfort of a room in a refugio (which is the name of the hostels in Torres del Paine)? I chose a combination of camping and lodging because I wanted to have a good understanding of each of the accommodation alternatives, so I can report it back to you! Let’s talk about both options below! NOTE: Please note that you can’t do the trek if you don’t have your accommodation figured out beforehand. 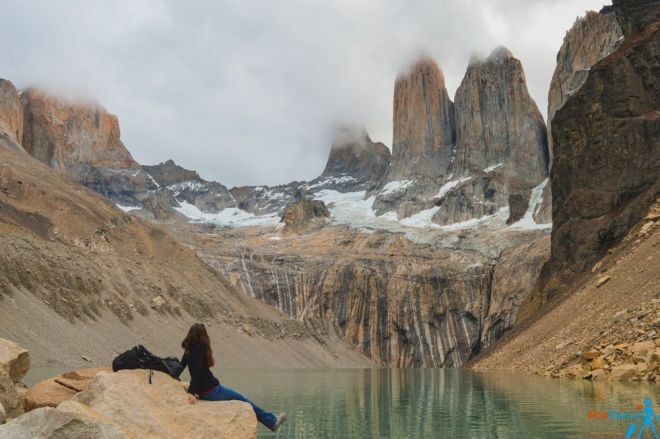 Because Torres del Paine has become such a popular destination, you can’t rely on finding a free camping spot or a room in a refugio on the spot anymore and it is not even allowed to do so anymore. Please make sure to secure your accommodation for all the nights you will spend in the National Park, as this is mandatory for the W and the O. 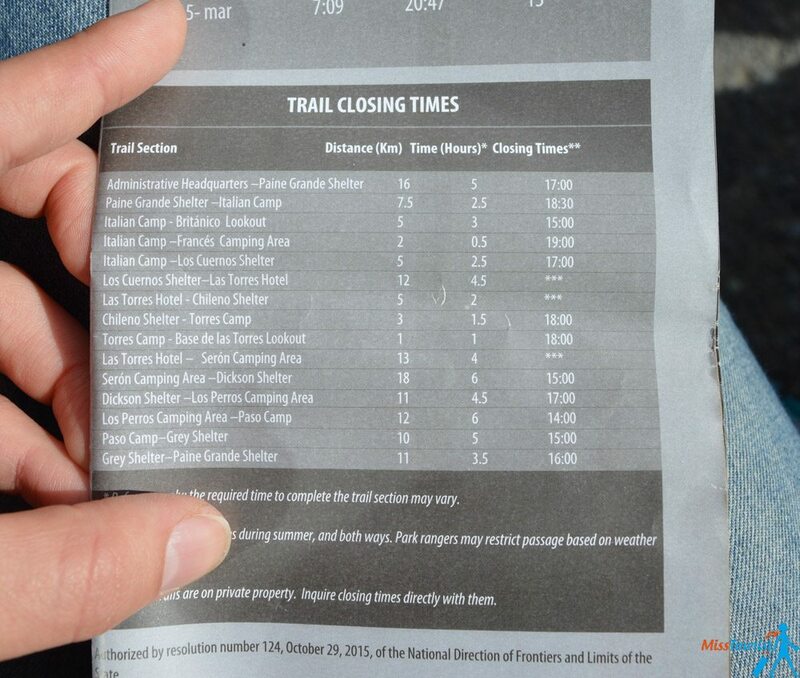 If there are no places left in some of the refugios or camping sites, you might need to change the dates of your hike. After you find all your bookings, make sure to print your confirmations and have them with you as a proof, as well as your passport. 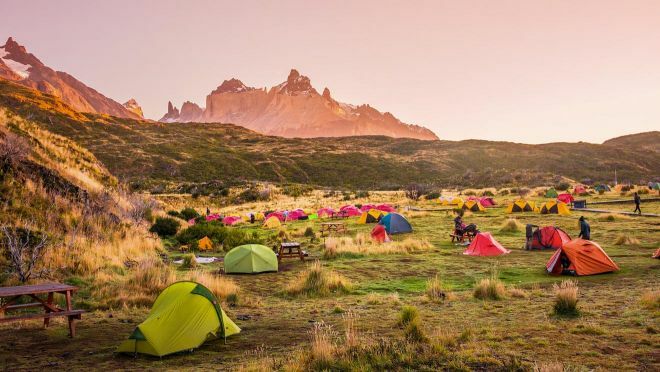 Even if saving money might not be your main reason for camping in Torres del Paine (yes, it is really romantic to spend the nights in the middle of nature – when it is not windy, of course! ), it is definitely much cheaper than staying in a refugio. All of the paid campsites on the W trek are generally located near the refugios, which means that you will be able to enjoy all the facilities provided there – showers with hot water, kitchen, toilets etc. You can rent a tent from each individual refugio (+ sleeping bag and sleeping mat as an extra option if you want to). That is a cool option because you will not need to carry your own tent from place to place. You can rent one in one campsite, then you rent another tent in the second campsite and so on, which is a comfortable option! Of course, you will need to also rent a campsite spot for this. NOTE: Just to be on the safe side, make sure to check the condition of your tent and sleeping bag/sleeping mat before paying for it. Alternatively, you can carry your own tent and use it on each campsite, which means you will only need to pay a small fee for using the facilities of the campsite. My experience – I am glad I could rent a tent in each camp (because there was no carrying involved), and I can say that it was a great experience overall. The tents are of very good quality and they are already set up for you! You will miss a bit of the camping experience but damn, I enjoyed having it ready! The facilities in the camping sites are good – hot water, basic kitchen (but you need to use your own stove which you can only use in designated areas at the campsite). I also saw many people trekking Torres del Paine with their own tents. So, if the weight is not an issue for you, I think you will have a fabulous experience! 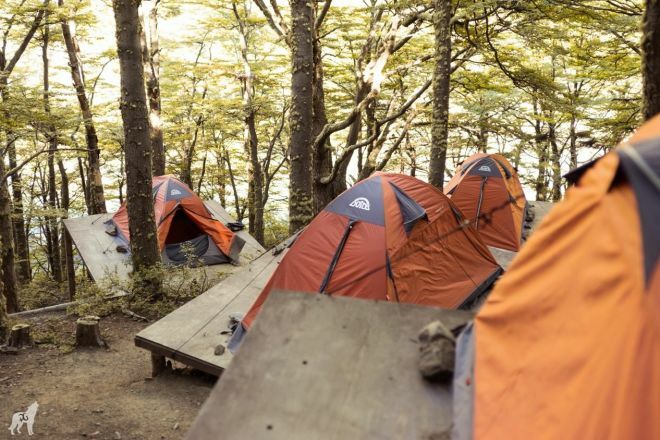 Booking the tent and/or camping spot for the paid campsites can be done using Fantastico Sur website (Las Torres refugio and camp, Chileno refugio and camp, Camp Seron, El Frances, refugio Cuernos) and Vertice Patagonia website (refugio Dickson, Camp Los Perros, Refugio Grey, Refugio Paine Grande). If you want to rent a tent for most of the W trek camping sites, you should book the place here. For the Paine Grande campsite and other camping sites on the Torres del Paine O trek, you can book here. If you want to rent the whole package (which includes a tent, camping space and a sleeping bag) it will come up to about 50-60$ for 2 people per day. They have tents for 3 and 4 people as well. You can check the up-to-date prices here. Price: About 15$ per person if you come with your own tent, and 50-60$ for 2 people if you rent a tent with all the supplements (sleeping bag, mat). 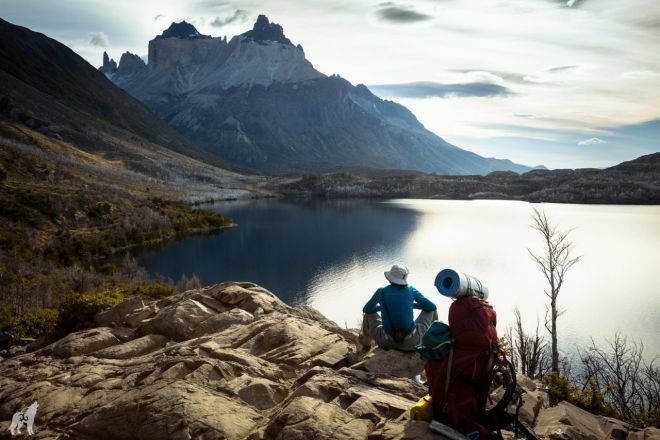 NOTE: Please note that you can only camp in specially designated camping sites and that “wild” camping is strictly prohibited in Torres del Paine. The free camping sites are owned by the park authority. They are harder to reach (which means you’ll be more tired at the end of the day), but they are placed deeper on the trek, which means they provide you with a more genuine experience. Note that the camps lack many of the facilities of the paid campsites, but for sure they don’t lack the good spirits, great atmosphere, and nice people! Booking a place in a free camping site should be done in advance, in order to secure your spot when you’ll reach it tired, at the end of the day. The procedure for booking was not as simple in the past when I first wrote this article, as there was no online booking for free camping sites, but it got easier! Now you can book your place in the free camping sites run by CONAF (Italiano, Paso and Torres camps) in advance. Unfortunately, the procedure is a little bit tedious and their website is only in Spanish, but no worries, I am here to help! Go on the CONAF website here. Create an account (select the pasaporte option) and log in. Select your dates for each campsite. If you notice some campsite are not there, go back to #3 on this list, click “Inicio” and then click “Ver Disponibilidad”. This way you can check the availability of the campsites for your desired dates. Alternatively, you can Google Translate the website by right clicking in your browser -> Translate to English. PRO TIP: Make sure to print out your booking reservations! You will be asked for a proof of reservation by the rangers, as they don’t have a list for the free camping sites. If you don’t have it printed out beforehand, you won’t have any proof with you! UPDATE: Camp Torres is closed for the entire 2018/2019 season. UPDATE2: Although the CONAF camps are still free of charge, when booking online using their website you will have to pay the entrance fee to the park (32 US$ / 21.000 CLP). 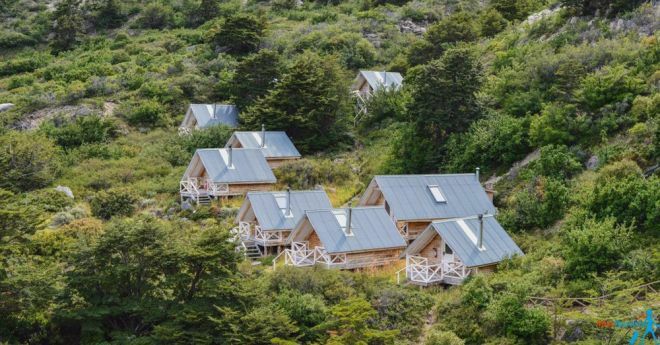 Hotels or, in most of the cases, hostels are owned by 2 private companies in the Torres del Paine park – Fantastico Sur (on the Eastern part of the park) and Vertice Patagonia (everything on the Western side of the park). I have stayed in different refugios (hostels) for 3 nights and I can absolutely recommend this option. In some areas there are also cabins with hot tubs, so sometimes this could be an option, too. Yes, it is quite pricey, but the territory of the refugios is located so far away, they need to deliver employees and food by helicopter to some of these areas. Even if the facilities are basic, everything is very nice and clean – I loved staying in Fantastico Sur refugios! And the fact that I was staying with another traveler in the room allowed me to make some awesome new friends on the road. I also took the full board option and I can say that the food was delicious and plentiful! Please see the next section for food pictures. Note: Refugios are not built everywhere. If you are taking an “O” trail, there are parts where camping is the only option. Booking the refugios – Please book in advance. Refugios are sold out very fast, especially during the high Patagonia trekking season (December, January, February). You can book them here and here (depending in which camp you want to stay). Price: It really depends on the particular refugio you would like to stay in. The average price is 80$ per night per person. Again, it also depends on the season and the location. The price is about 10% lower if you go off season. You can see the updated rates here. Find the best deal for your hotel in Torres del Paine here! As you will be in Torres del Paine for some days and you probably want to eat something more than just chocolate bars, you should think about this and plan it in advance! Are you going to cook your own food or will you use the full board option provided by the refugio? Cooking the food yourself requires, of course, some preparation and most importantly, carrying everything in your back. But hey, it is much cheaper! PRO TIP: A friend of mine hanged her food in order to keep it away from mice and other rodents, but it was taken by a condor(!) during the night, so try and find a good place to store your food overnight! Full board provided by refugios means you will eat breakfast, lunch and dinner cooked by the refugio, so you won’t have to worry about cooking and carrying all those cans of food. I am saying this over and over again because, believe me, the weight of your backpack will become super important after you walk with it for a few hours. Backpacking in Torres del Paine is no easy game! Did you know that you can get the full board option (or order just dinner/lunch/breakfast individually) even if you don’t stay in the refugio? There were many people camping who came to the restaurant in the evening just to enjoy a nice warm dinner. The dinner consists of 4 courses – a salad (appetizer), a soup, a main course (meat or a vegetarian option) and a dessert with tea. Wine is not included, but you can get it for quite an affordable price if you wish. I remember both breakfasts and dinners being heavy (meaning a lot of food! ), which was great because this is exactly what you need before or after a day full of activities. Lunch will be given to you in a lunch box. There is a vegetarian option as well. What about drinking water? Indeed, that’s a very important question. Thank God, you won’t have to bring liters and liters of water with you! Luckily, you are in a National Park and the streams of water coming directly from the glacier are cleaner than any bottled water. PRO TIP: Just one thing to keep in mind – the closer the running water is to the road, the more polluted it is. If you take the water directly from the river, there is a high possibility of other people or horses stepping in it. That brings dangerous bacteria that you don’t want in your body, so be careful. Just refill your bottles up the stream and you will be safe. Some cabanas (another name of a refugio) sometimes add chlorine in the water, so try not to drink it! Just ask the people at the canteen to refill your bottle. You should leave your main luggage in Puerto Natales. Each hotel/hostel there will take your bags, as they are used to it. They have special storage for this and your bags will be safe there for the entire duration of your hike. I used a lock just in case, but everything was fine. So, it is important to only take the stuff that you will REALLY need. The suggested packing list is below. Walking sticks – highly recommended so you won’t kill your knees! 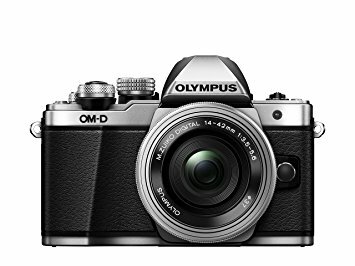 Your camera – don’t forget it! NOTE: As I mentioned earlier, the weather in Patagonia can be quite unpredictable, so make sure to pack both cold and hot weather clothes! As I always say: layering is your best friend! Here is everything you wanted to know about the National Park, I have updated the posts from the questions you asked in the comments. 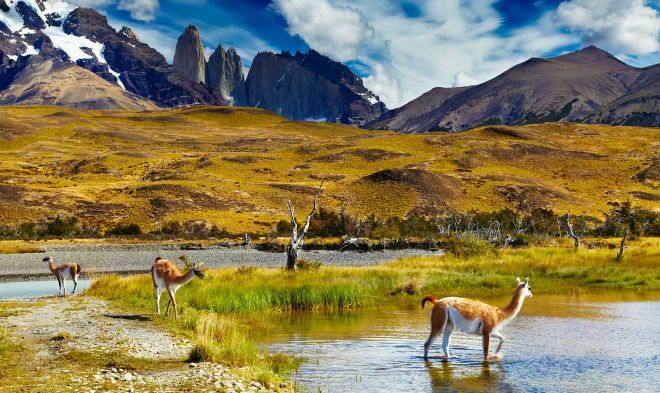 The closest city to Parque Nacional Torres del Paine is Puerto Natales. That is where I recommend you to stay and have a rest for a day or 2 before the hike. Getting to Torres del Paine is so easy, as there are plenty of buses from Puerto Natales to different entrances of the park that depart every day in the morning. You can buy your ticket from your hotel or just buy it from the bus terminal, whichever option works better for you. The ride takes around 2 hours and 30 mins and the price is 23 US$ / 15.000 CLP roundtrip. NOTE: Make sure to keep your ticket as you will need it for the return ride. 2. How much is the entrance fee to the park? For foreign adults, the entrance to the park costs around 32 US$ / 21.000 CLP during high season (1st of October to 30th of April) and 17 US$ / 11.000 CLP during low season (1st of May to 30th of September), regardless of the duration of your stay. For foreign children it is 8.6 US$ / 6.000 CLP during high season and 1.4 US$ / 1.000 CLP during low season. You can check the updated entrance fee here. NOTE: The entrance fee can only be paid in Chilean pesos and they don’t accept credit cards or other currencies. 3. 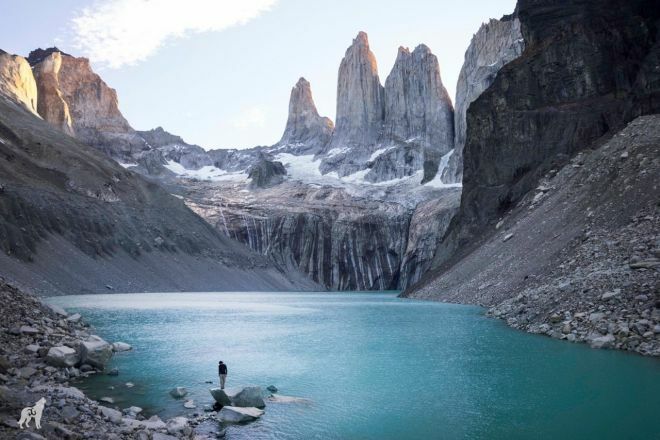 Is Torres del Paine trek hard? No, I would say it is relatively easy. If you compare it with Colca Canyon in Peru, or perhaps to the Inca Trail in Machu Picchu, it is much easier. There are no hills, just a bit of climbing and not even every day. However, if you are not in a very good shape or the weather is windy, it can be quite challenging, but still doable for all the ages and all levels. If you are doing the “O” or “Q” trails, I would suggest doing a long-distance hiking experience before as you will be carrying a loaded backpack for 8-10 days. Occasionally, you will have to go up some steep steel ladders, climb across suspension bridges and go along deep mountain valleys. 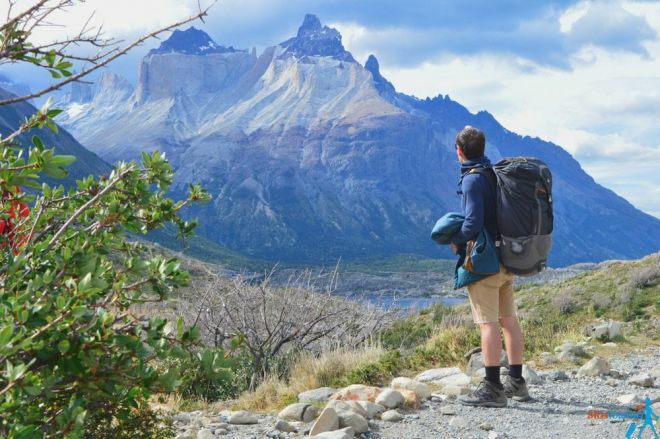 It is not easy, especially if you have heavy backpacks, but Torres del Paine has some of the most spectacular routes on the planet and it is so worth it! You will also meet many amazing like-minded people along the way! Here is the Torres del Paine W trek distance and time estimate. It is pretty accurate – my total time was a bit faster maybe, but that is because I did not have a heavy backpack. 4. 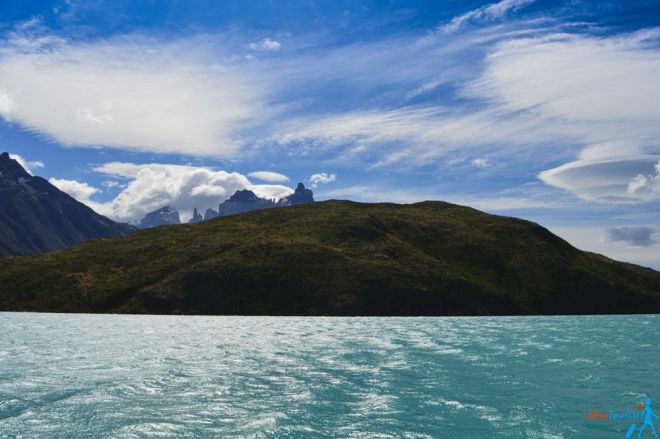 Is it easy to get lost in Torres del Paine? 5. Can you do the trek alone or should you go with a tour? Many people wonder if you can do the trek by yourself or if it is mandatory to go with the tour. As usual, pick up your badge of courage and get on with it. 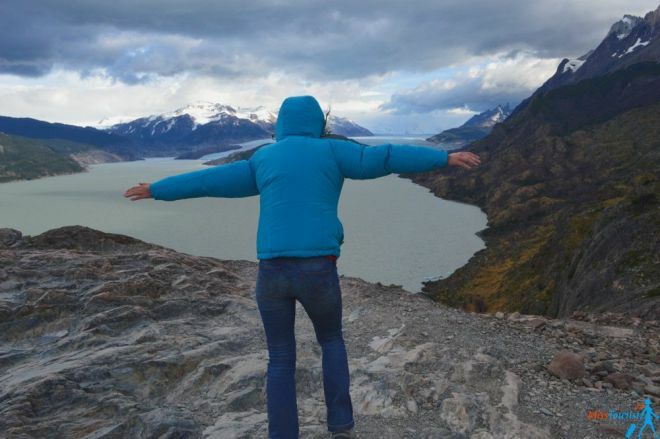 Independent travel is absolutely possible, moreover, it even prevails in Torres del Paine! You can certainly go with a tour if you wish, but you don’t really need to. Every path of the way is well-marked and it is very easy to orient yourself, so you shouldn’t worry! 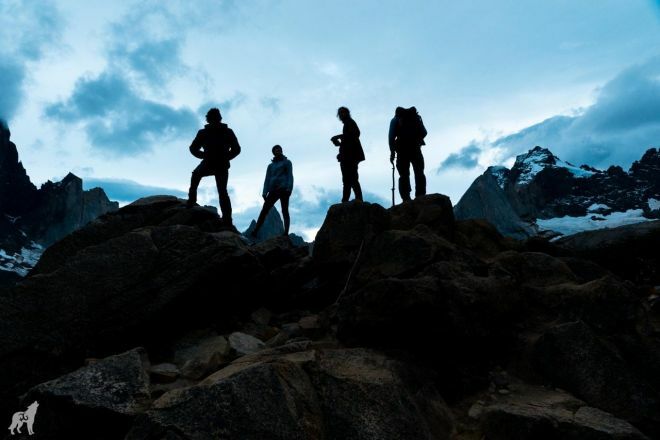 Solo hiking in Torres del Paine is very popular and is definitely allowed. 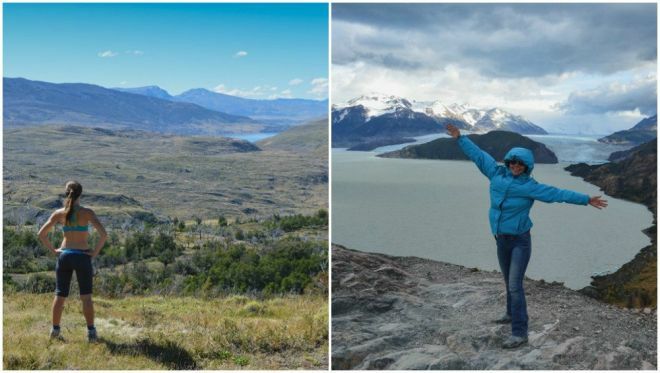 Local guides say that the Torres del Paine treks are so easy and obvious that if you manage to get lost, they will put you on a wall of shame and make you famous! Having said that, I understand that some of you prefer to go with a group – you won’t need to worry about booking anything along the way, the food will be taken care of and, last but not least, you will definitely meet many like-minded people during the tour. 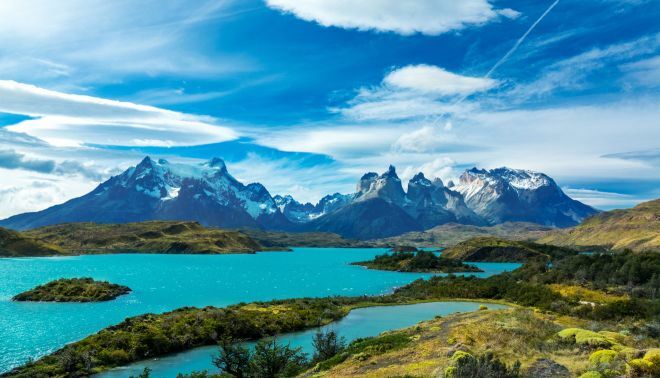 If you are searching for some awesome Torres del Paine day hikes, this is a great 1-day tour during which you will hike the Ascencio Valley and you will see the Paine Towers, lagoons and the granite spiers of Torres del Paine. Entrance fee to the park and food/drinks are not included. 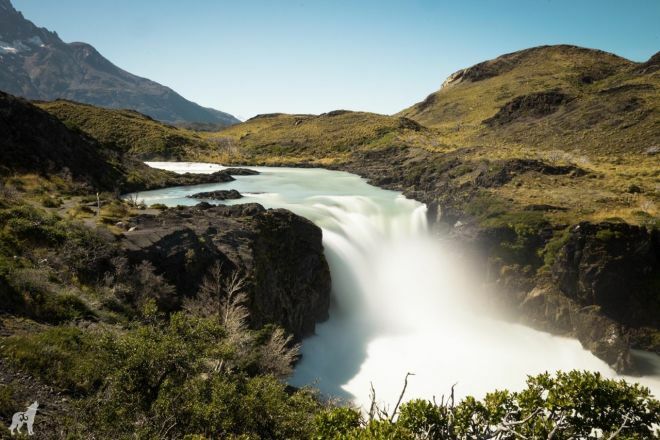 If you want a 5-days Torres del Paine guided trek for the W trail, this one is the perfect choice. 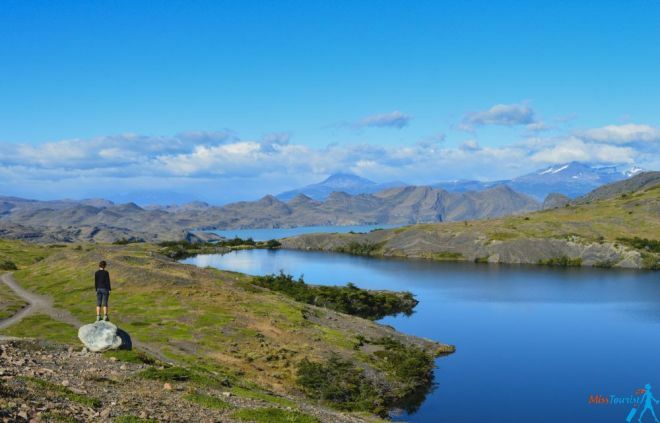 It includes the accommodation and food for the entire period, entrance fee to the park, round-trip transfer from Puerto Natales, professional guide and the Pehoé Lake Catamaran. If you want to do the Torres del Paine full circuit (the “O” trek), I suggest this 11 days tour that departs and ends in Puerto Natales. 6. What will you see in Torres del Paine, Chile? Visiting Torres del Paine is definitely an unforgettable experience and the incredible nature of the National Park left many people speechless! This is a place where the color of the crystal-clear sky is just indescribable, the nature is unique and you will have plenty of wildlife to discover around you. The Torres – 3 huge granite towers called the “torres” (which means towers in Spanish) – these are the symbol of the National Park. If you want to see them at sunrise, you should stay at Campamento Torres (make sure to book in advance), as this is the closest place to get to the Torres. You will still have to do a hike of about 1.5 hours). I saw the torres during daylight, but it was stunning nevertheless! Grey Glacier that is fed by the Southern Patagonian Ice Field. Climbing up there and hearing thunderstorms from time to time (that are actually ice falls) is an unforgettable experience! French Valley in Torres del Paine offers so many photo opportunities! And many, many more views of incredible nature! 7. So, how much is it again? Yes, even if we already spoke about this a bit, there are too many variables in this equation. The final price of your adventure depends on what level of comfort you prefer, your budget and the season when you are going as well. Cheap – carrying your own tent, camping in free or cheap places (around 10 US$/night for the paid campsites). Cooking, eating and carrying your own food (around 10 US$/person/day). Total: around 80 US$/person without the transport and entrance fee. Medium – Renting tents from the camp (around 30 US$/person/night) and eating food provided by the cabanas from time to time (from 17 US$ to 24 US$/meal). Total: around 250 US$/person without the transport and entrance fee. Expensive – staying in cabanas (around 110 US$/person/night), eating the food provided by the cabana (from 17 US$ to 24 US$/meal). Total: around 850 US$/person without the transport and entrance fee. 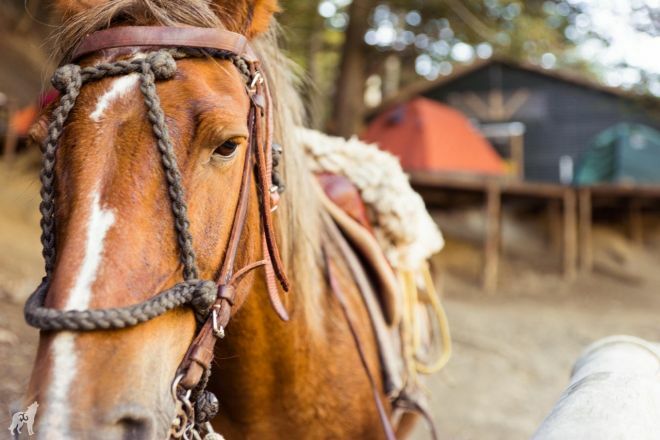 Luxury – staying in a luxury hotel in Torres del Paine and having your luggage carried by horses. The problem is that your choice of hotels will be very limited and sometimes there are hardly any options. However, there is a luxury 5* hotel called Las Torres, which is located relatively close to the Torres. The hike from the hotel up to see the torres is about 4 hours. Total: around 450-500 US$/double room/night for the normal package and around 1.300 US$/double room/night for Hotel Las Torres all-inclusive package. And yes, you read it correctly – even staying in a hostel in Torres del Paine can be quite pricey. 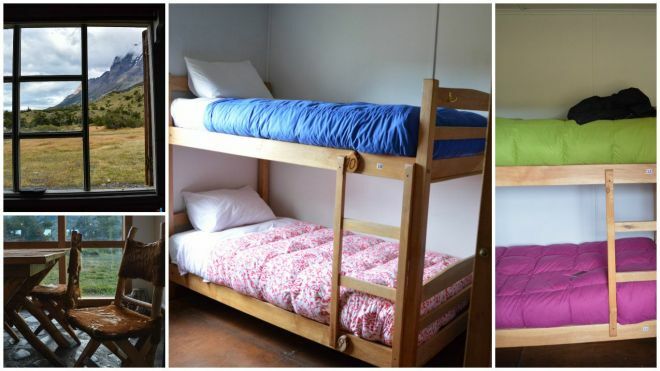 The hostels are owned by private companies and it is hard for them to transfer all the goods there, that is why the price you pay for a hostel here can equal to the price for a good hotel somewhere in Europe. I personally combined the medium and expensive options – I stayed in cabanas for 3 nights and 1 night in a camp, renting a tent from them. 8. What are some important things to remember? Fire safety regulations – NEVER, and I really mean never ever light a fire in Torres del Paine National Park! The fire will spread so fast and the trees are so dry that you won’t be able to stop it. This is a really serious issue. Some guys did it 4 years ago and they destroyed 40% of the park trees, had to pay a huge fine and they are now not allowed to not only the park but the entire country. Please don’t start any fire in the park. There will be no Internet unless you are willing to pay extra. Many refugios provide a “Wild-Fi” service. But I would advise you to connect with nature, isn’t that why you are there? There is no point in carrying your laptop whatsoever. Put your clothes in a plastic bag and then in the backpack – this way they won’t get wet if it rains. If you want to prepare even more, I recommend attending this Erratic Rock Torres del Paine seminar a day before. They organize it every day at 3 PM. It is free of charge and it gives you a lot of valuable info. 9. Can I charge my phone and other electrical equipment at the camping? 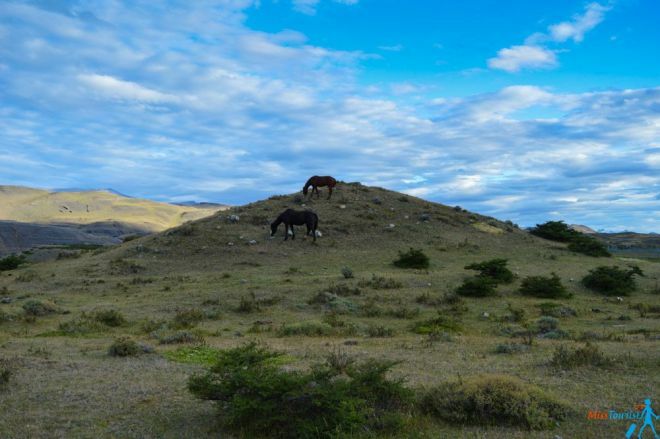 Yes, some Torres del Paine camping sites have charging points (for example Paine Grande, Los Perros, Los Cuernos). However, I wouldn’t rely on them and it is best to have an external battery with you in case you need it and charge your devices with the USB. 10. Can I buy things in the park if I forgot to pack something? No. There are no shops or ATMs in the park, but there is a supermarket in Puerto Natales where you can buy food before your trip. 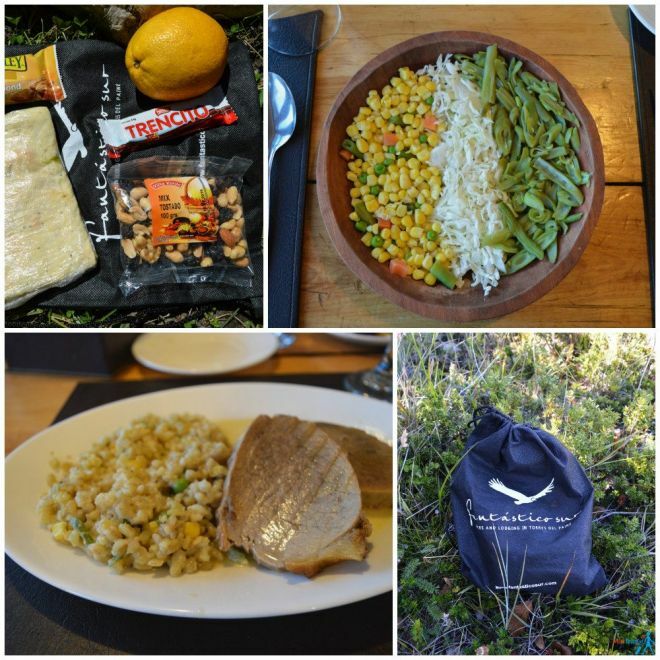 Of course, you can also buy food at the refugios in Torres del Paine. 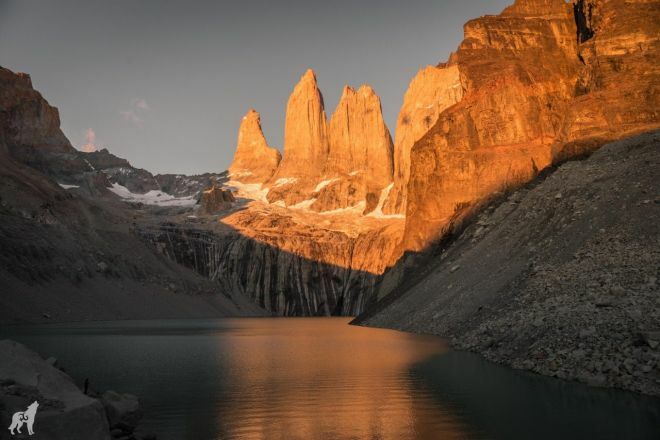 Here in this post I have included some important details about the Torres del Paine trek that I couldn’t find in other blog posts on the internet. The idea was to find all the info in one place – which trek to take, how much exactly it is going to cost you, how long it will take, what to take with you and many other little things that I noted down while doing the trail myself. Even if it is not that cheap as the tour of the Salt Flats in Bolivia, for example, you will experience a totally different beauty and I recommend doing it! P.S. 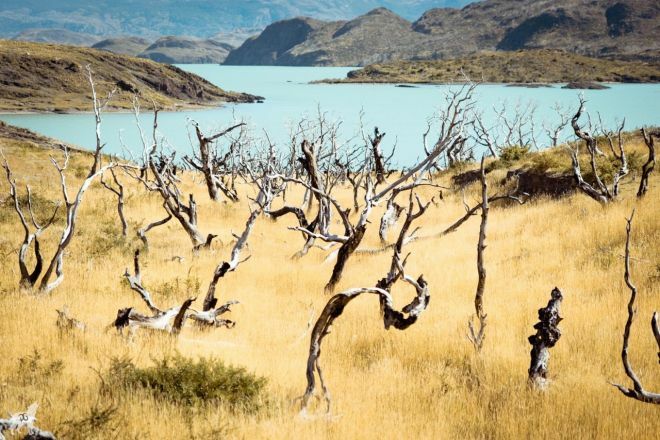 While touring Torres del Paine, I met a talented photographer named Pehuen Grotti, who generously allowed me to use his fantastic pictures on my blog. Follow him on Instagram and Facebook for more! Disclaimer: I was invited to Fantastico Sur as a guest, however, all opinions are, as always, my own. Have you already done the trek? Are you thinking about it? Share your thoughts in the comments! Have you already done the trek? Well done reference. Best I read. Hi, I really want to know if I’m in Calafate and I want to go but like in a trip of just going into the park for 1 day can I? what would you recommend? I’m doing a 20 days trip to Argetina in December and I wanna know what I just can’t miss! Thanks. It’s very useful information. I love the secret code 🙂 Looks like an awesome hike! Thanks! It is, you should do it!! Hi Yulia, I am planning on carrying my own tent and camping in the free sites. I was wondering how far away the free sites are to the refugios if we wanted to buy meals. Thanks! Thanks for all the information! I was wondering if you went recently and the free camps being open for reservations only a day before was still true? I am trying to reserve the spots online, but it is saying I can’t due to no accomodation being available. I didn’t know if this was because a) they were booked or b) they do not reserve that far ahead. I have reservations on the O circuit until Los Perros, but then I have nothing and I wasn’t sure what to do about that. Let me know if you have advice or tips! Hi Melissa, I was there in February 2016 and the rules were slightly different. I recommend calling the property directly to ask them to book a spot for you. I’m going to hike the ‘W’ and will be carrying my own camping gear. I have been able to make reservations for every place except for at Los Cuernos. Will I not be able to camp and set up my tent if I’m unable to make a reservation ahead of time there? Thanks. I was just told that it is required to book your campsites in advance. If you cant do it online for some reason, I recommend calling the property and booking it by the phone, there should be no problems with that! 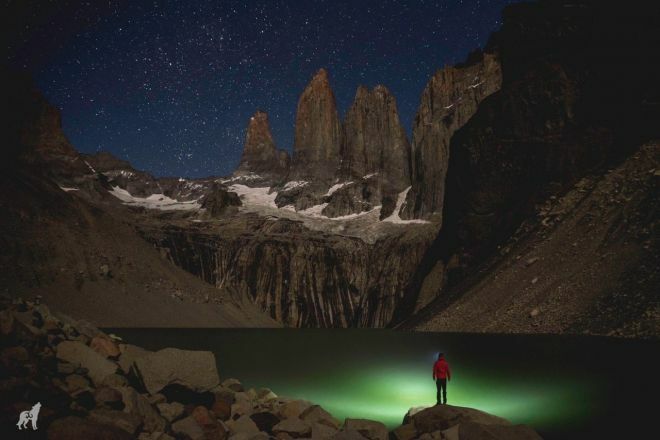 Awesome blog about Torres Del Pine! The best I have seen! We are going to Chile and Argentina this December. Spasibo, Yulia! Super post! Vi otlichniy pisatel’, vse razlozili po polochkam! Glad if it helped you guys to prepare for the trip! Safe travels! I was there in February 2016, and it wasnt like this last year, thanks for the update! Thanks for the information, do you know if this rule exists if we carry our own tent ? Hi Yulia, I would like to agree with Sonja and stress the point. The regulations have become much stricter than what you describe from last year: places in the free camping sites are fully booked months in advance, and even the paid options are completely unavailable (you need to book at least 3 weeks in advance or be extremely lucky). Since this is a very expensive place to get to (in terms of both time and money), it is important to know in advance that a spontaneous visit is (almost) impossible. Hi, Does anyone know if you need to buy the entry ticket in advance anywhere? Or do you have to pay the entry fee when entering the park? (I read somewhere that there’s a cap of 80 people per day allowed into the park, and since I already reserved all the camping spots for my 7day hike, I’m curious if you need to buy this in advance or not). Anyone who has been there recently, let me know how the procedure is now, since they seem to have changed the rules quite a bit over the recent years. Thanks in advance! The rules indeed changed quite a bit even despite the fast I have been there less than a year ago. I can assure you the limit is not 80 people a day. Moreover, as the official site states right now you can only pay in cash for the entrance, no online entry ticket can be bought. Such a useful guide! Thanks very much. Just wondering…how did you get down to Patagonia? Me and my boyfriend are thinking of heading down from Santiago but will it take too long if we take buses? hey Nicole, thanks a lot! We took a bus from Bariloche. it was a quite exhausting and very long ride (30-something hours) and also not that cheap. If you can, book the flights in advance, it will be the same price as the bus and waaaay more comfortable! A year ago when we rented a tent it was about 60$ for 2 people (not including the food). In order to save money you can have your own tent, but you will have to carry it around with you all the way. How much of a buffer should we leave between our flights and the beginning/end of the trek? I was planning to simply fly in the day before the trek and fly out the day after the trek, but am unsure how realistic this is given the length of time it takes to get between Puerto Natales and Punta Arenas. Any advice would be greatly appreciated! While it is possible to arrive the day of the trek (in the morning) and start right away, i would still recommend taking a day before the trek – to do some shopping, to learn more about the trek. I’ve heard there are some restrictions about the number of people per day, you should check that as well (when i visited, there was none). If you are an experienced tracker and you come prepared, I see no reason why not start the trek right away. As for the last day, there is no problem to leave right away. I haven’t done the “O” unfortunately. Thank you thank you thank you for this article! Is there any way that I might be able to contact you by phone. I am planning a trip and I have more questions. Yes, you only pay once when you enter. I am going to do a solo hiking on October. Do you think it is safe? You can do it in all the refugios, in some of the kitchens areas of campings, obviously not in the tent if you will be staying there. Yes, i would recommend it to people of all ages and all levels. It might be not that easy sometimes, but it is doable if you are relatively fit. The prices as I mentioned are very high, you can make it more affordable by staying in tents. I left my stuff in a hotel in Puerto Natales, this is a normal practice in the city. Most of the times you will have to carry everything with you that is why you should pack as light as possible. NZ is awesome , you’re going to love it . Would u suggest staying in P. Natales and take day trips ? is there anywhere else I could go in that area ? I will have 7 days after I fly into Punta arenas. Hey, this is the best information that I have read. I am heading to Patagonia in December. Thank you for blogging this article on Patagonia. I am an avid traveler and I like to do a lot of research and independent touring on my own. You are really good at putting your travel details in a concise manner. Love the pics!. I AM PLANNING W TRUK. HOW MUCH TO WALK EACH DAY. PLease read the post, everything is described there. Hi Yulia, what entrance did you use for the park? And what were the overnight stops you made along the way? I found many options and do not know which ones to choose. If you could share your full itinerary from start in Puerto Natales to return in Puerto Natales, that would be great, thanks! Just booked our trip today for the first week of April! Only staying in the park for 2 nights so planning to do part of the W trail. Great information for us to work with! We are planning on bringing our own gear, tent, and food but might need to stop by the hostels for some wine and a dinner!! Very useful information!! one question, what side could you recommend for One Day Trek? Yulia, your guide is easily the best in the whole internet! I’m planning a solo photographic expedition for 2019 summer and almost all my questions are answered for you! Thanks! I’m just wondering if the free camping sites works well in these days… I’m planning the cheap option because i need the most immersive experience possible. I am happy you liked the post! As for the free camps, everything should work as described, but as I said, you need to book in advance. I suggest calling them when you arrive to Puerto Natales from your accommodation. Yulia, your guide is very useful and easy to understand. I am planning my trip to W trek in January 2019. Before I still have some hesitation should I go. I am 62 but I am phyically fit. I was able to finish the Laras Trek, Peru last year. If you are in good shape, I am sure you will be fine, so not worry! I havent done the Lares trek, but I have heard it is quite challenging! This is the best Torres del Paine guide I ever read. It’s just perfect! Great job! This article is a treasure. I was looking for a long time to find somethings like this. The details are awsome and finally the claer routes map. We will definitely use all your advises in plannign out trip. Спасибо огромное за труд и советы! happy it was useful for you! PLEASE GIVE SOME INFO ABOUT EASTER ISLAND AND ATACAMA DESERT. I havent been to all the places in the world yet, that is why the blog doesnt cover it. Easter Island is my dream for now, I am planning to visit at some point. I cant say much about the Atacama desert, we did stargazing and it was wonderful. I have then cough a very strange allergy to their dust or something and we had to leave. Hi! This was so helpful and I really appreciate it! Me and my boyfriend are going to Patagonia for 10 days. Since we are not experienced (we are pretty active and athletic though) we are not doing any camping that is overnight. Instead, we have booked 2 lodges (Remota lodge and Camp Patagonia) and both places organize day trips and excursions for us, but we are always coming back to the same place in PN to sleep. Do you think we will still be able to see some of the sites that you saw considering we are only doing day excursions? We have already booked but I am worried now after hearing about the W and O treks that we are missing out :/ Wanted a perspective of someone who has been! well, it is really hard to tell as I am not sure where are the refugios you are staying and what hikes you are going to take. I assume that if the trip is organized, you are going to visit some beautiful places? but if you ask me for my personal opinion, you will experience much more if you will take a multi day hike, you will feel the National Park much better, not sure if you understand what I mean. Spending 5 days there was definitely a lot of fun and we met many great people! Thank you Yulia for writing and sharing such an informational blog. I have been nervous about my up coming Patagonia trip as I haven’t planned or booked or trained for it yet. I am 3 weeks away. I have hiked EBC 2 years ago but with a porter and done Machu Pichu using porters as well. I was nervous about carrying a backpack and setting up a tent for the first time without the help of porters. Reading your blog and seeing the pictures you have posted brought me a great deal of relief. It looks doable after reading your blog. I read a few blogs before your but yours answered a lot of unanswered questions for me. Thank you! You are welcome, I am so happy it was useful! Please come back again in a a couple of days, there is going to be even more information in an updated post! Hi Yulia! Thank you for the info! So much great detail. I am planning on going for 10 days in late March 2019, and haven’t booked anything. Do you think it would be possible to book the W campsites, meals and tent once I arrive there (only a few days in advance)? I am traveling alone and was hoping to meet people at hostels that would join in, or go in a group somehow. Hi Becka, so awesome you are doing it! Honestly, I cant tell you for sure – i have been a couple of years ago and it was fine-ish to do it almost lsat minute (not in the highest season though), but i dont know about now, I have heard that it is more busy now. Maybe someone else can comment? I think there were stoves there in the camp, though I am not 100% sure. Maybe someone else here can confirm for Zoe? Hello, Thank you for this post! I understand that reservation camping or refugio accommodations is mandatory. However, I’m having trouble finding accommodations for November 2019. How far in advance is it possible to book reservations? I can’t tell if the locations are already fully booked or if the reservations have not opened yet. It is very possible that the reservations are not open yet. I read that they usually open up in May for November-March season. If you want to be extra sure about the situation, you can e-mail the different camping companies or just write them a message on their Facebook pages.